Hamas spokesman accuses Palestinian Authority of creating a humanitarian crisis in Gaza for political reasons. Hamas on Tuesday denounced the Palestinian Authority (PA) government in Ramallah, headed by Rami Hamdallah, for its policy of "deceiving, creating tension and deliberately neglecting the needs of the residents of the Gaza Strip." Hamas spokesman Fawzi Barhoum called the PA government a "Fatah" government and accused it of seeking to impose sanctions against Gaza and to provide a pretext the creation of a harsh reality for residents in all areas of life. Hamas and Fatah signed a reconciliation agreement in October, as part of which Hamas was to transfer power in Gaza by December 1. That deadline was initially put back by 10 days and then appeared to have been cancelled altogether after it reportedly hit “obstacles”. 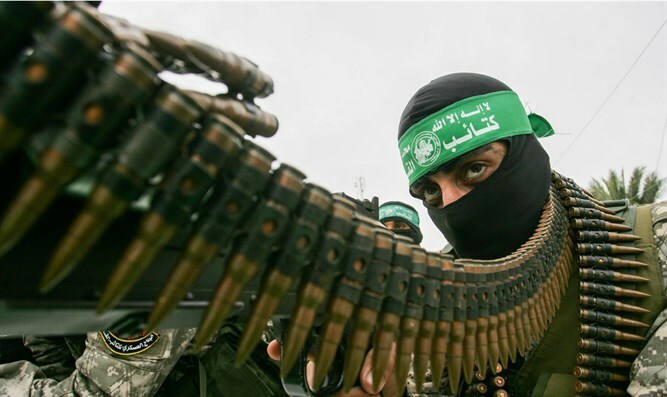 The two groups have been at odds since 2007, when Hamas took over Gaza in a bloody coup. All attempts to reconcile the sides have failed. Also on Tuesday, the Hamas newspaper Felesteen reported that the Al-Shifa Hospital in Gaza, the largest hospital in the enclave, had stopped providing medical services due to a strike by the hospital cleaning staff that began the previous day. The newspaper said the cleaning workers started a strike after the cleaning companies that employed them did not receive the money earmarked for the salaries of the workers from the PA government in Ramallah. Barhoum called on the government in Ramallah to cease imposing sanctions on Gaza residents and to fulfill its obligations to them in the same manner as in PA-assigned areas of Judea and Samaria.